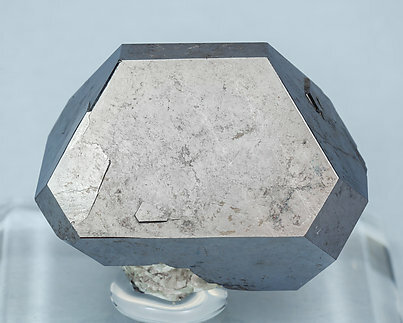 Group of sharp crystals with very well defined faces and edges showing the forms of the dodecahedron, the cube and a finely striated tetrahexaedron. 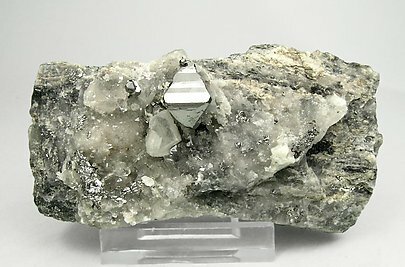 They have thin Chalcopyrite coatings, are very bright and their morphology is most unusual for Carrollite from Kambove. 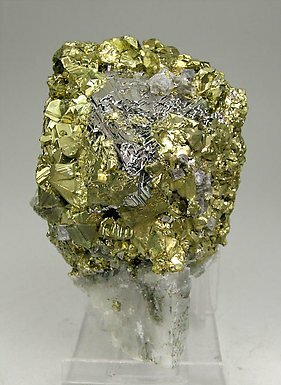 It is not common to find an octahedral form in a very sharp and brilliant undamaged crystal (Calcite covers its natural crack) Minor Chalcopyrite as well. The crystal is near perfection. 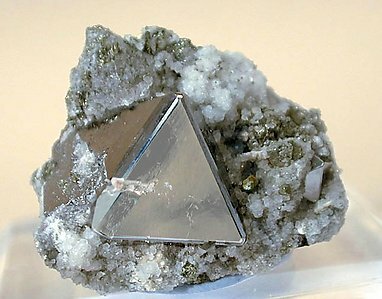 Dominated by the cube and the octahedron, it is especially interesting for its brightness and its esthetic position on the Calcite matrix. 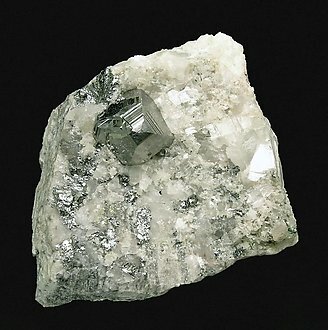 Crystal on Calcite matrix. It is very well developed, with predominating forms of the octahedron but with the four faces of the tetrahexahedron in every visible corner. Cubo-octahedral crystals that in some faces show the forms of the tetrahexahedron. The crystals, from the famous find of April 2001, are perfectly sharp and are on matrix, with Calcite. Perfect / undamaged Carrollite crystal on Calcite. 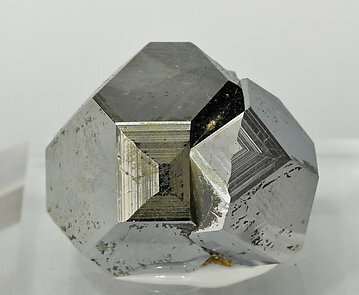 Complex very aerial crystal on matrix. It combines the forms of the octahedron, dominant, the dodecahedron and the cube. 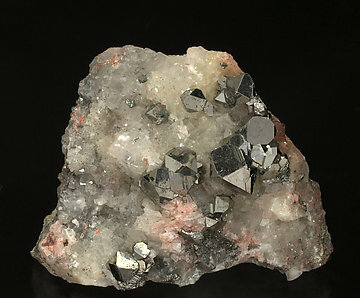 It has small associated crystals of Calcite and Quartz. 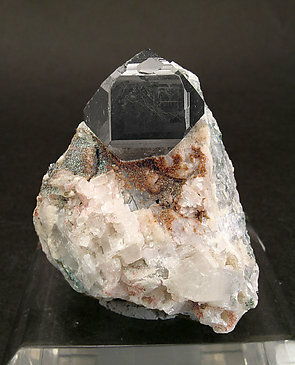 Big octahedral crystal of Carrollite of very well defined and bright faces with very well marked triangular forms of growth. Very unusual is the presence of abundant and very well defined crystals of Chalcopyrite that have grown epigenetically on the Carrollite. On Calcite matrix. A novelty at Tucson 2018. Very sharp and aerial cubo-octahedral crystal, complete and on matrix, with Mica. 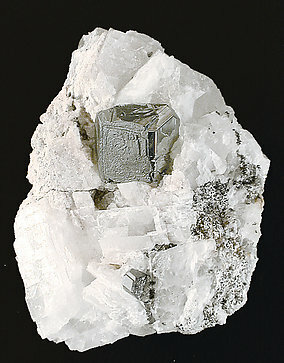 It has two small contacts on the left side, recrystallized by the Carrollite itself. The sample is from a recent find of samples of a great quality. A novelty at Tucson 2018. 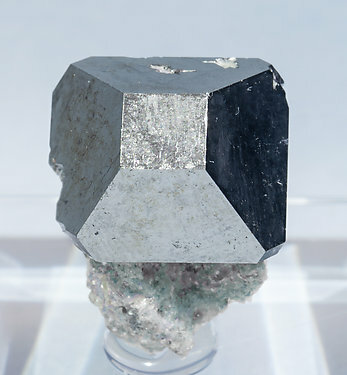 Single, very aerial and very sharp cubo-octahedral crystal, slightly elongated, complete and on a tiny bit of Mica matrix. The sample is from a recent find of samples of great quality.